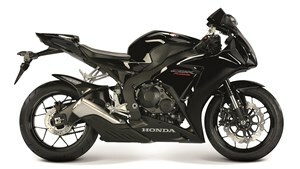 HONDA has revealed two new editions for the Fireblade, with special paint jobs and race-inspired extras. 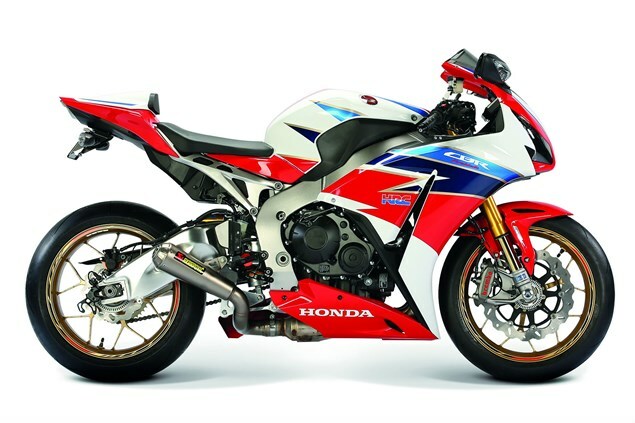 The ‘TT Special’ gets Honda’s ‘tri-color’ red, white and blue paint job, as seen on the Blade raced by John McGuinness, along with a MotoGP-style Akrapovič exhaust and Gilles levers and lever guards. It also features Gilles chain adjusters, paddock stand lifters and crash pads, and Galfer stainless wavey discs. It costs £16,999 on the road. The ‘Black Edition’ benefits from the same levers and wavey discs plus a smoked bubble screen, seat cowl and carbon fibre hugger. It costs £12,199 on the road. The bikes were unveiled at the weekend’s BSB round at Silverstone, where Honda’s Dan Linfoot and Jason O’Halloran rode them on a parade lap on race day. Nick Campolucci, Honda’s Head of Motorcycles, said: ‘The Black special is a no-nonsense Fireblade, reflecting the Honda mantra behind the bike - that you don't always need all the bells and whistles to enjoy the ride and to obtain peak performance on-track.